Orthotics are shoe inserts that are meant to correct an irregular walking gait or provide cushioning to the feet. Orthotics come in a variety of different models and sizes, including over-the-counter and customizable variants. 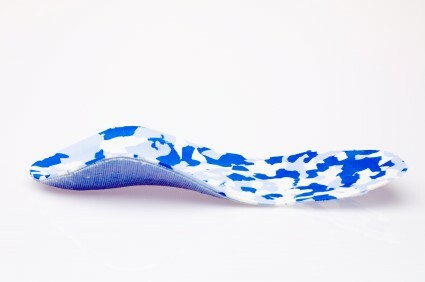 Customizable orthotics can be shaped and contoured to fit inside a specific shoe and are typically prescribed through a podiatrist who specializes in customized footwear and orthotics design and management. Orthotics are beneficial because they can help prevent injuries from occurring and provide cushioning to keep pain levels down to a minimum. They also allow for the correct positioning of the feet. Orthotics can act as shock absorbers to help remove pressure from the foot and ankle. Therefore, orthotics can make bodily movements, such as walking and running, become more comfortable as well as help prevent the development of certain foot conditions. Orthotics alleviate pain and make the foot more comfortable by slightly altering the angle at which the foot strikes the ground surface, therefore controlling the movement of the foot and ankle. Orthotics come in different variants and can be made of various materials. To determine what type of orthotic is most suited to your feet and your needs, it is best to consult your podiatrist. He or she will be able to recommend a type of orthotic that can help improve your foot function or prescribe a custom orthotic to best fit your feet.